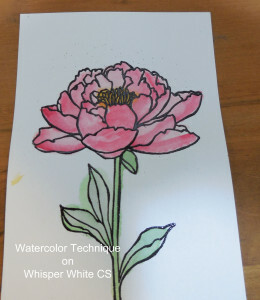 Today I am sharing a new video that I made using a watercoloring technique that works well for stamped outline Images. 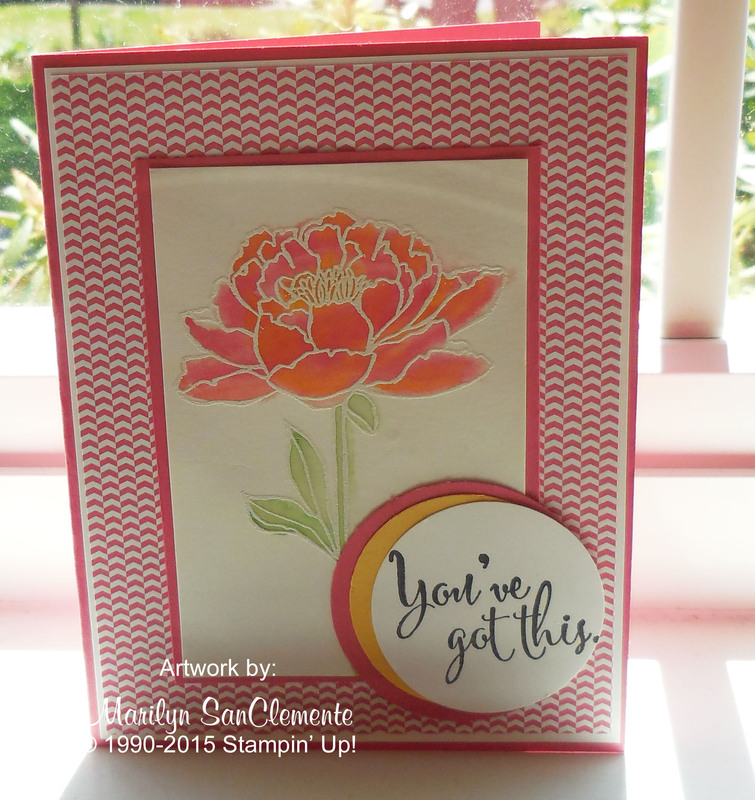 This beautiful Floral set, “You’ve Got This” is one of the new sets in the new Stampin’ Up! catalog that goes on Sale next week, June 2nd. 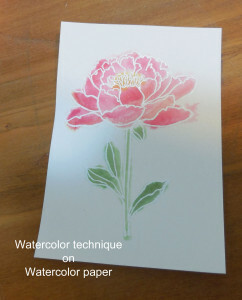 With this particular watercoloring technique you emboss the outlined image with white or black embossing powder. So what I wanted to do with this technique was to try it out on different types of cardstocks. You can see the results of my experiment in the video below. 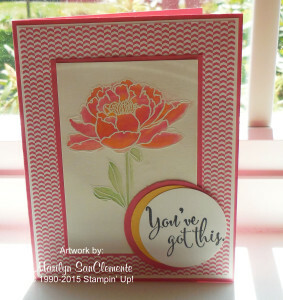 The video shows the look that you get using 3 different kinds of cardstocks that Stampin’ Up! sells. 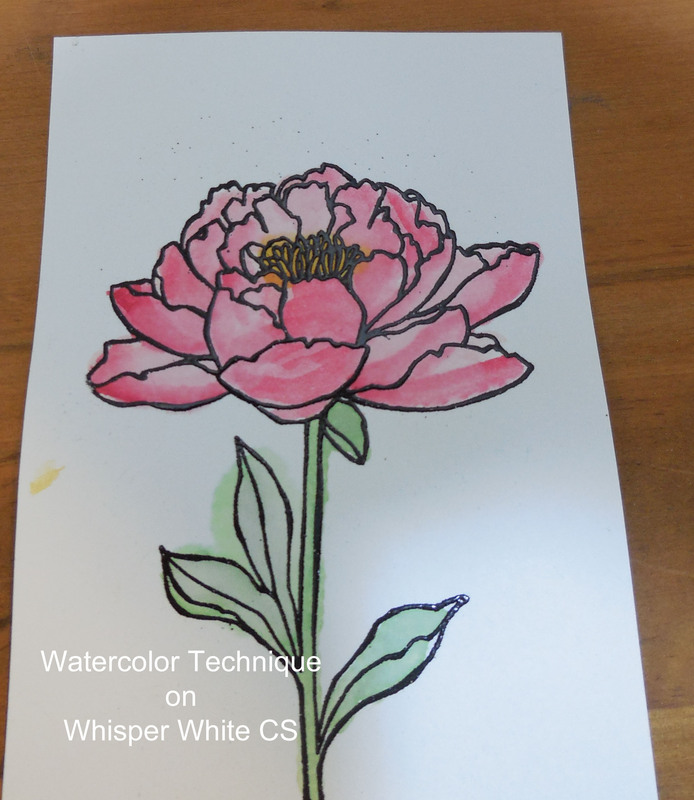 Whisper White, Watercolor Paper or Shimmery White. The finished card is made using White Embossing powder on Shimmery White cardstock. These next two examples were made with Watercolor Paper. One using white embossing powder and the 2nd with Black embossing powder. With the second piece, I used a bit more water and you can see that the color ran outside the lines giving it more of an impressionist look. This third sample was made using Whisper White cardstock. As you can see the ink ran a bit more with this piece also. Since Whisper White is a lighter weight cardstock, it also curled a little with the water. So which is your favorite look?? 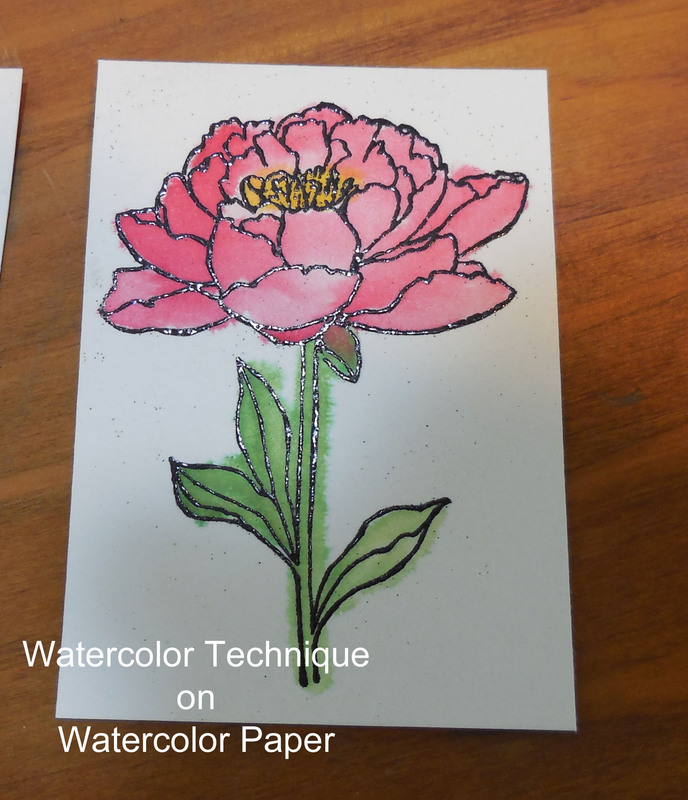 My Stamper’s Club members have requested a lesson in this technique for June. Interested in learning more about this technique and getting more ideas using this stamp set? Check out my Stamper’s Club.